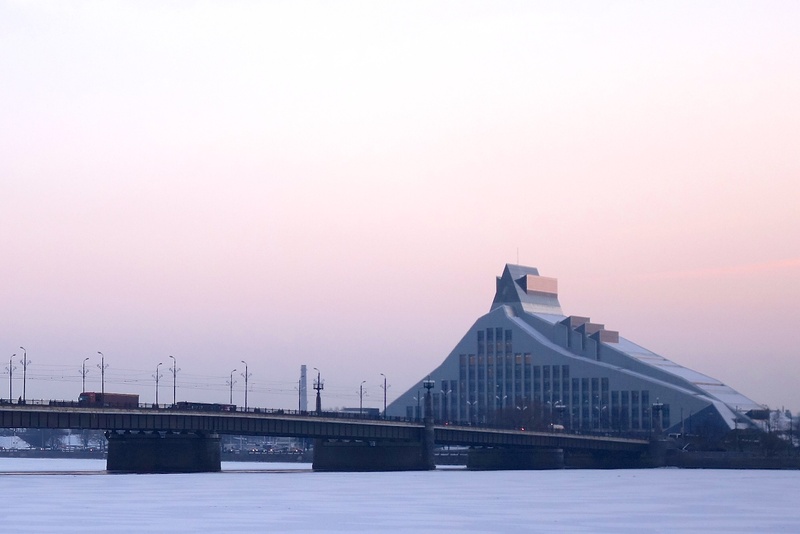 Just last month, Riga, the capital of Latvia and the largest city in the Baltic states, was officially unveiled as the European Capital of Culture for 2014 (along with Umeå, Sweden). What that means exactly for the residents depends on who you ask, most seem unsure about the specifics, but they are excited nonetheless to have a spotlight on their city following all the cultural events planned throughout the year. After returning from a week long trip, I learned first hand that the designation is much deserved. From the city’s budding specialty coffee scene to the amazing architecture down every street, Riga is well worth a visit. Riga has a history that dates back longer than my North American mind can wrap itself around, and the architecture alone reflects it. 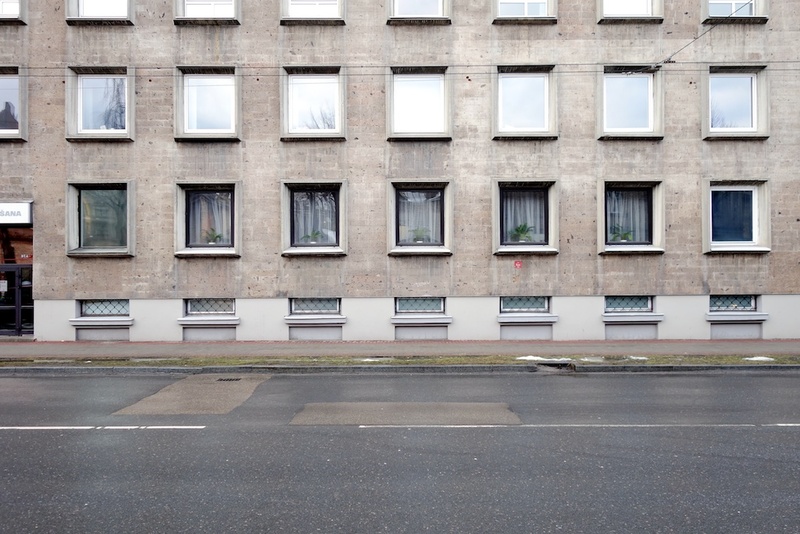 Just walking through the streets you’re treated to a diversity of buildings that I’ve yet to see in one place elsewhere in Europe. 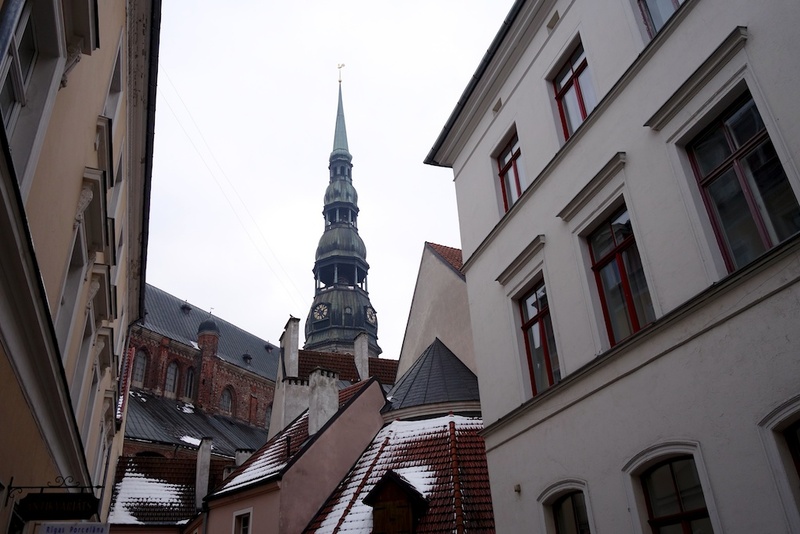 Riga has changed hands many times over the centuries, and it has absorbed heavy influences from Germany, the Soviet Union and at one point in the early 1700’s it was the largest city in the Swedish empire. 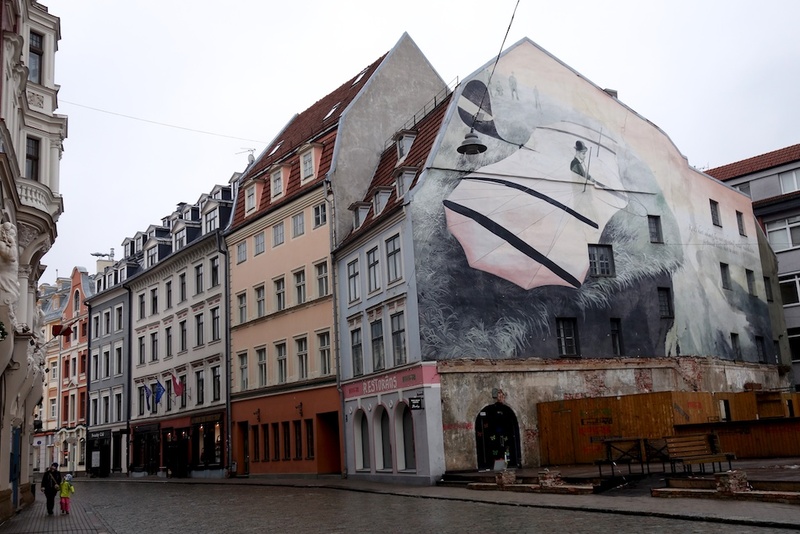 In the nearly 25 years since gaining its freedom from the USSR, Riga has grown into a city as cosmopolitan and unique as any other in central Europe. The incredibly preserved Art Nouvaeu district (the largest collection in the world) and the old wooden homes from the 19th century are now being joined by contemporary designs like the newly finished National Library and the Citadele and DnB Nord bank buildings. Along with this architectural and cultural modernization, specialty coffee has begun to take hold as well. 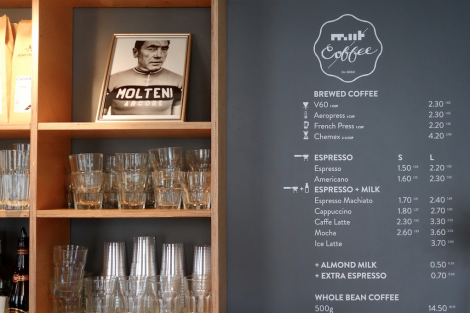 Miit Coffee & Bikes in the heart of the Central District is only a couple blocks from the large Esplenade park. 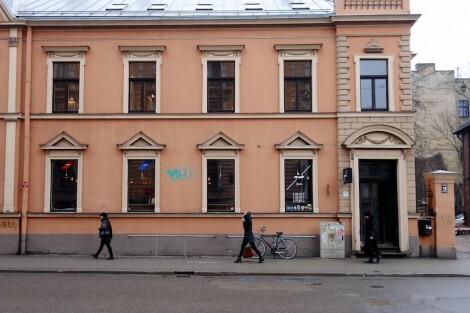 The bright and spacious shop was just around the corner from my hotel and received daily visits during my stay in Riga. 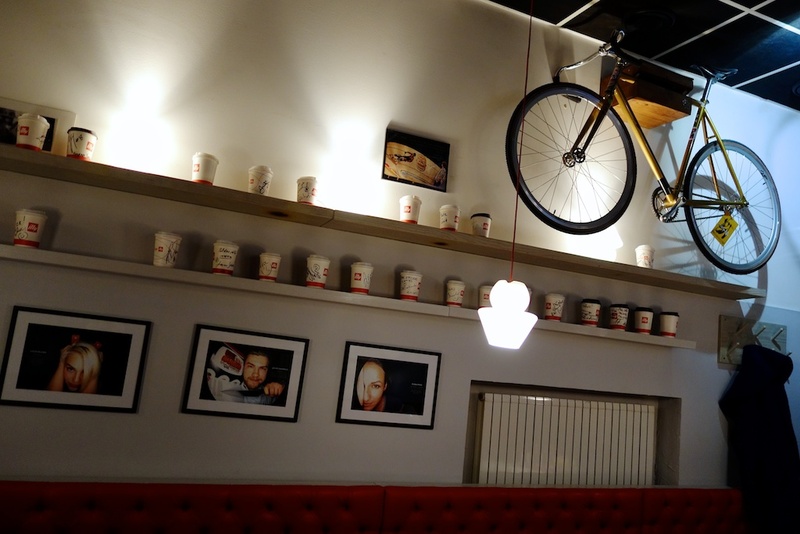 There’s a lot of love for bikes and the fixed gear culture, with historic images of track racing on the walls and a framed photo of Eddie Merckx behind the bar. 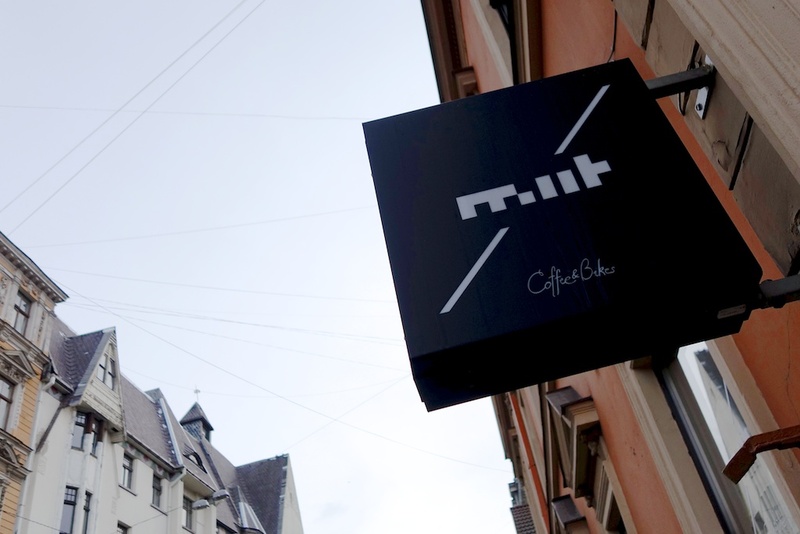 Miit opened 3 years ago and uses coffee roasted by Andrito Coffee Roasting, founded in 2010 by the former Latvian Barista Champion Andris Petkēvičs. 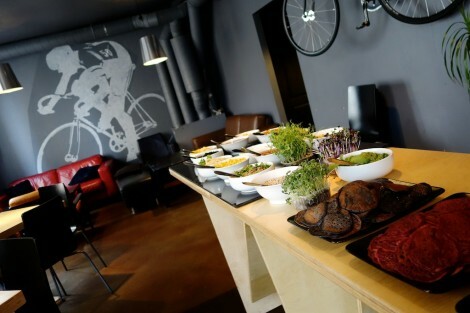 The café serves a menu full of vegetarian and vegan food, including a delicious spread of pancakes for weekend brunch. The long bar made from stacks of wooden slats plays host to a La Cimbali espresso machine or you can order any coffee available as an Aeropress, V60, French Press or Chemex. During one of my visits, a barista mentioned that it’s not common for customers to order the manual brew methods on their own because they usually don’t know what they are, but after recommendations, some regulars will eventually try them and really enjoy it. Even if they don’t serve manual brew coffee very often, she said they’re proud to offer it. When Miit isn’t making coffee or pancakes, they stay busy with other projects like Miit Works, which sells track bike frames and parts. Cycling seemed to be a reoccurring theme throughout my visit, with fixed gear bikes having a presence in some way at every shop I visited. 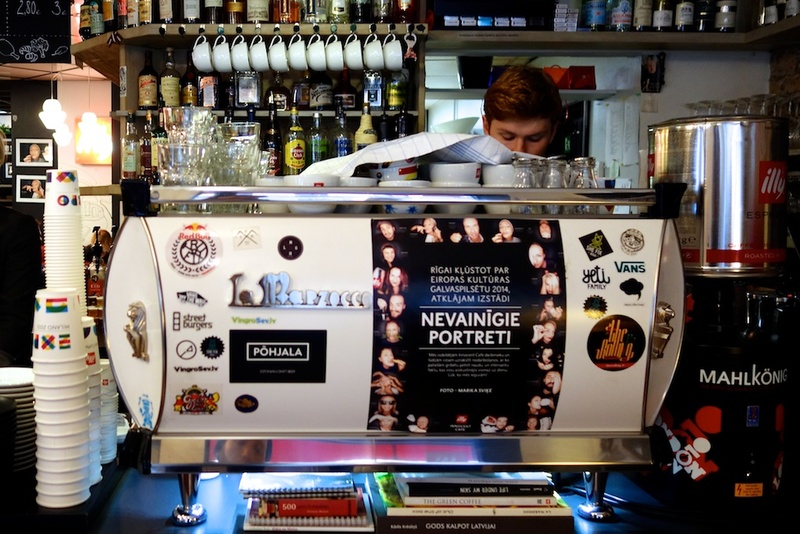 If that wasn’t enough, when the sun goes down, the coffee bar turns into an evening bar with DJs and crowds that rival those found during the day. There’s also WiFi available for those who need to map out their next move and friendly staff who can help you find your way. 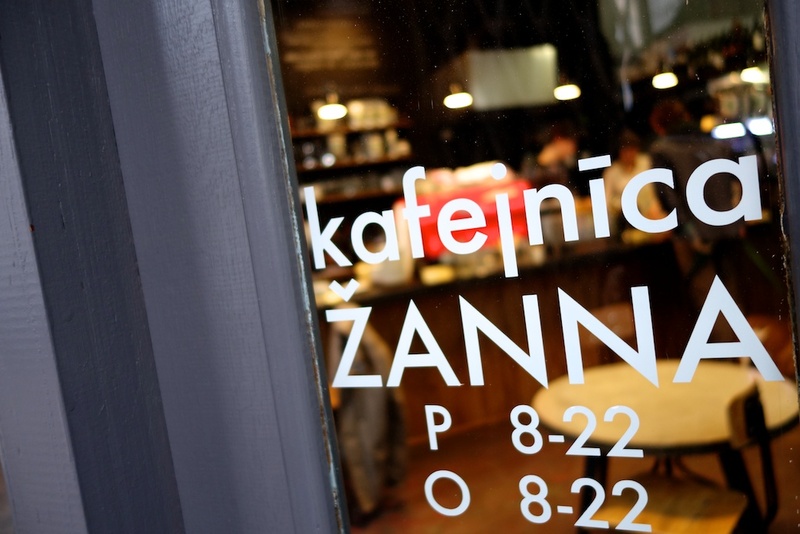 The newest coffee shop to visit in Riga is Žanna, which opened just three months ago and already feels like a neighborhood institution. This cozy shop sits on the corner of a quiet residential street off the much busier Valdemars iela. Žanna’s corner location lets light in from both sides, allowing you to enjoy the fresh baked goods alongside your coffee in a warm space that contrasts with the cold Soviet-era exterior. Žanna is using coffee roasted in neighboring Estonia by Gourmet Coffee, and just like Miit, they offer brewing on a variety of methods. 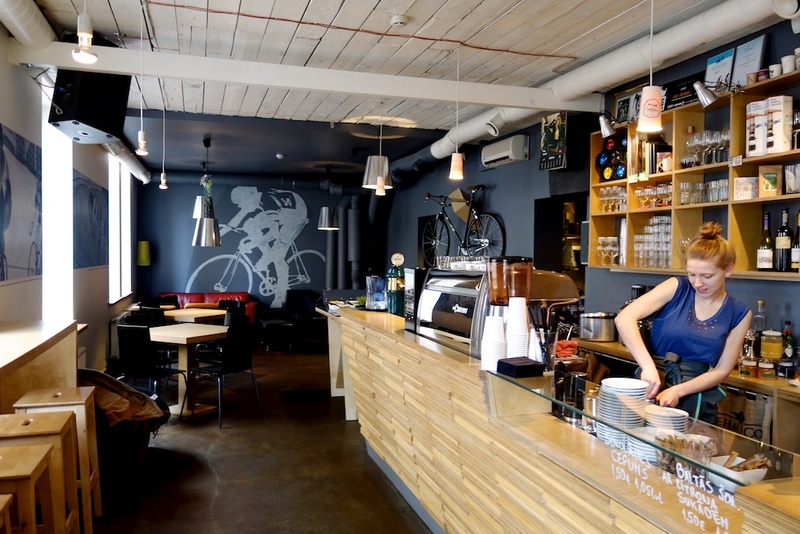 The centerpiece of the room is a bright red La Marzocco FB/80 that draws your attention from whichever corner you may be sitting in. I had a well made espresso before relaxing with a Chemex of Ethiopian Arichan and a sample of a Colombian brewed with a V60—both very well made by a barista who admitted to have only been making coffee for 3 months. As with Miit, Žanna is open later and has a bar stocked with everything needed to transition from caffeine to a nightcap. 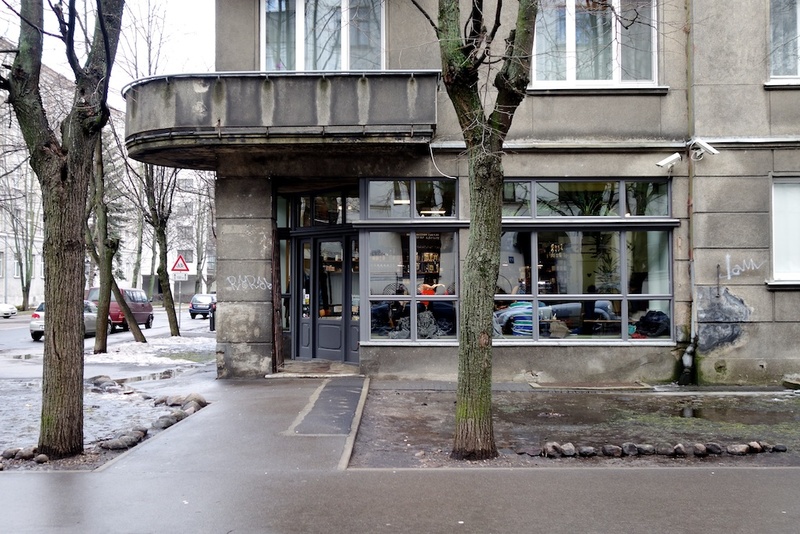 This café fills up with locals in a place that’s much more removed from the central part of town, but it’s still easy to visit by a short walk along one of Riga’s main roads. If you want to leave the guide book behind and explore something other than the tourist districts, take a walk to Žanna. A place like Innocent Café normally wouldn’t make it on my list of places to visit, but it was recommended by Ingemars who is now the head barista at Žanna Cafe. 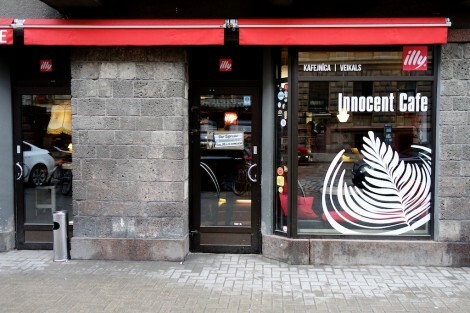 While he admitted that he managed Innocent for several years and that they were an Illy cafe, he said it was an important place because it inspired the current trend of specialty coffee shops and the baristas who work at them. Innocent is the Latvian distributor of Illy coffee, and during my visit I lost count of how many Illy logos there were to remind me. The café was branded like none I’d ever seen before. There were shelves lined with Illy cups, Illy logos on the walls, paintings on the walls of the Illy logos on the walls and sofas upholstered in Illy red leather. It was a bit of an Illy overload. On the front counter was a white La Marzocco GB5 adorned with subculture stickers that contrasted irreverently with the sheen of Illy’s corporate mark left on every available surface. 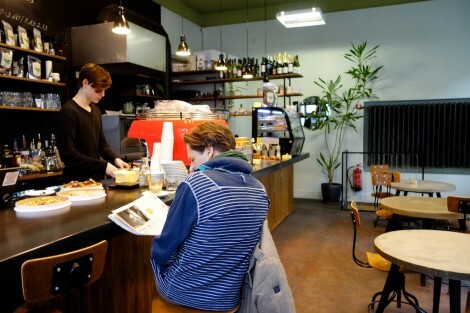 The café was quite large, with the middle room being devoted to the sale of home machines and coffee products. The back section was dimly lit and reserved more for the laptop crowd, while the front was bustling with customers who all seemed to know each other quite well. From greeting each others kids to saddling up beside neighbors when open tables were readily available. 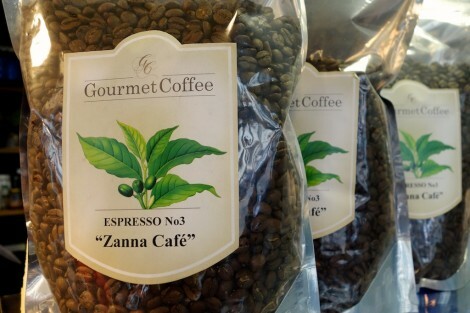 The coffee was as I expected, but a much better option than most of the places I passed on my way here. 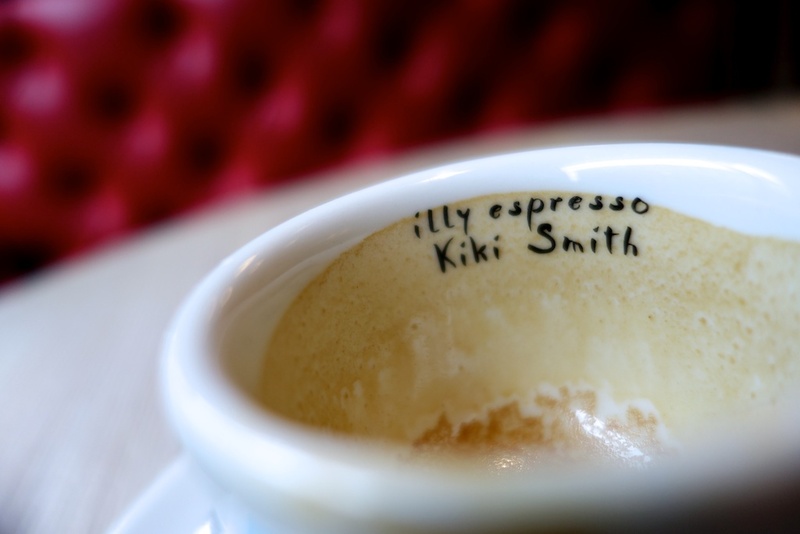 I had a well pulled and balanced shot of espresso followed by my first Illy cappuccino with milk that wasn’t bone dry. 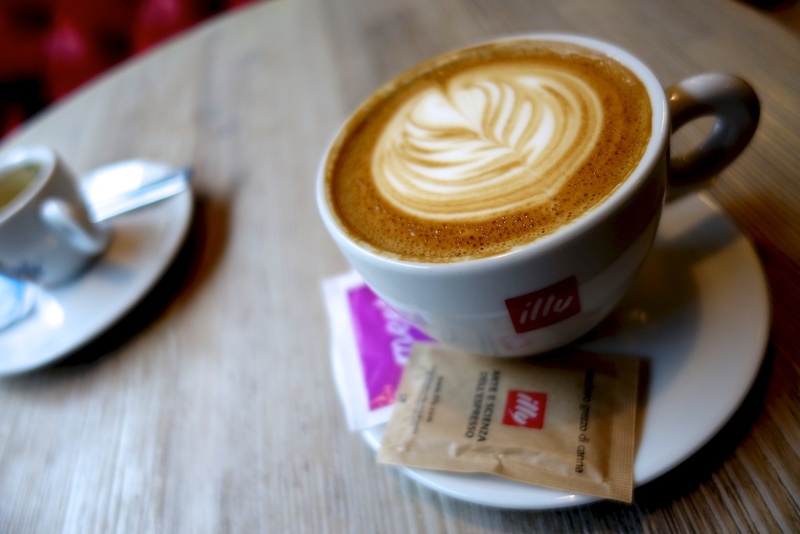 It felt as if Innocent had formed some kind of hybrid between what I’ve always expected from an Illy café and a modern specialty coffee shop. 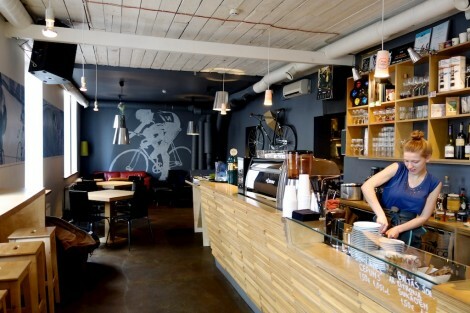 With a bike on the wall and booze on the shelves, it seemed to fill the requirements of the other specialty coffee shops in town and was filled with happy, coffee loving customers. 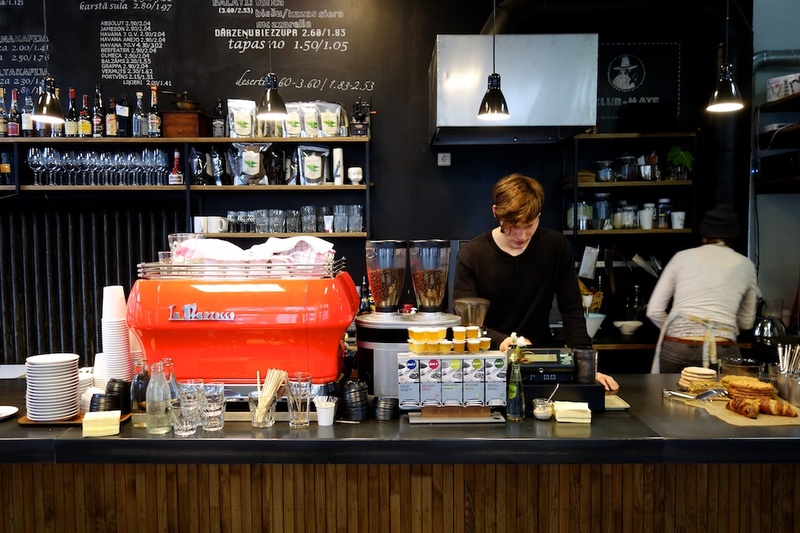 While Riga’s specialty coffee scene may still be small, it has ample potential for a city the size of Riga. One thing I noticed every shop in Riga had in common was the vibrancy of a culture on the move. While navigating to each destination, I’d pass local boutiques alongside Bulgari showrooms and centuries old wooden homes beside storefronts displaying the work of Eames and Kartell. Not to mention the free wifi everywhere, even in Taxis and liquor stores. There are so many rich layers of history in Latvia and so much potential in its modern day growth, it’s inevitable that the current generation will add even more unique layers to this city in the years to come. 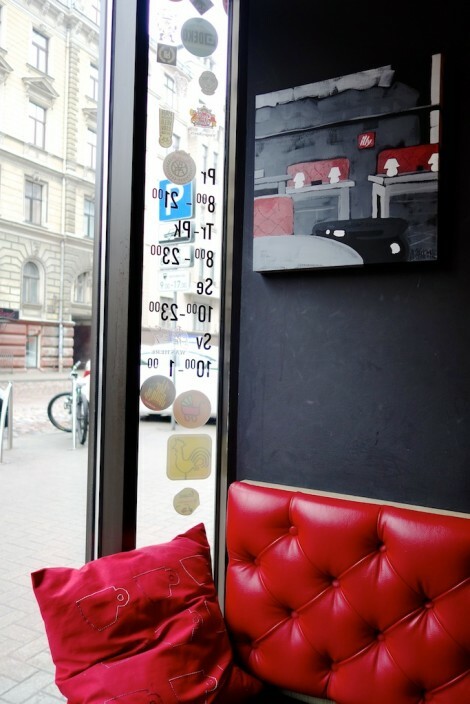 Places like Miit, Žanna and Innocent have created the kind of atmosphere in Riga where this future can take shape. Great post! I lived in Istanbul when it was the European cultural capital. In reality, it probably didn’t do much, but it does bring some much needed publicity to people working in the arts, culinary or otherwise. Thanks for letting us know what’s happening in Latvia.